Happy Columbus Day, Amerigo Vespuccians! Now that that’s out of the way I’d like to confess that I experienced a gamut of emotions this weekend; luckily, laughter was part of that mix. I only wish I would have experienced The Walking Dead, Gravity and Comedy Collide in reverse (time machine, please). Anyhoo, let’s get back to Comedy Collide. 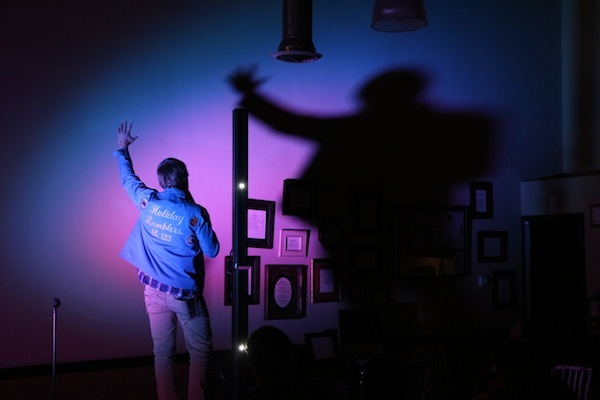 WOW, such an impressive group of comedians took over Echo Park’s 826LA reading room much to the delight of the hipster heavy audience. 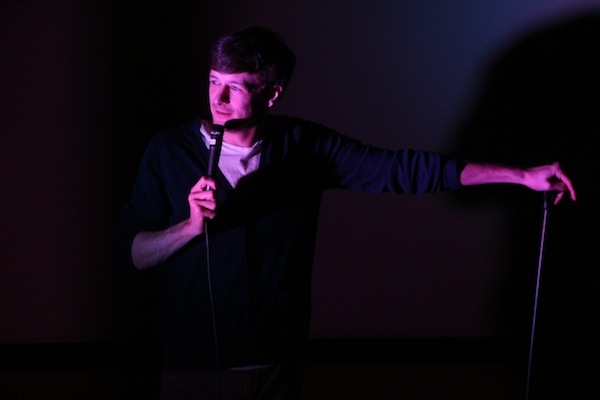 Host Christian Spicer (Uninformed Opinions podcast) had his work cut out for him from the start due to an awkward lighting situation. However, in true Tim Gunn fashion Spicer “made it work” riffing about fatherhood and breakable babies and more. Emily Maya Mills (CBB, The Birthday Boys) hit one out of the park with her SUV moms vs Whole Foods parking lot opener and yo mama impersonations. 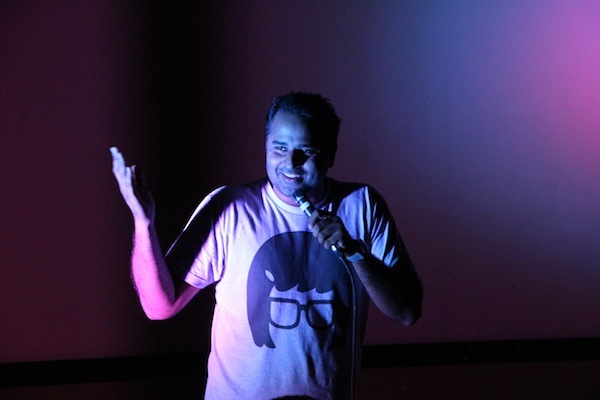 Sporting a “Bob’s Burgers” T, Rajan Dharni (IMPRO(vs)TANDUP) was already winning favor with yours truly. However, Rajan sealed the deal when he got physical demonstrating stretching exercises and using the weird lighting to cast shadows of his plump belly. Rajan’s bit about figuring out how many donuts he’d consumed while stoned had me in absolute stitches. 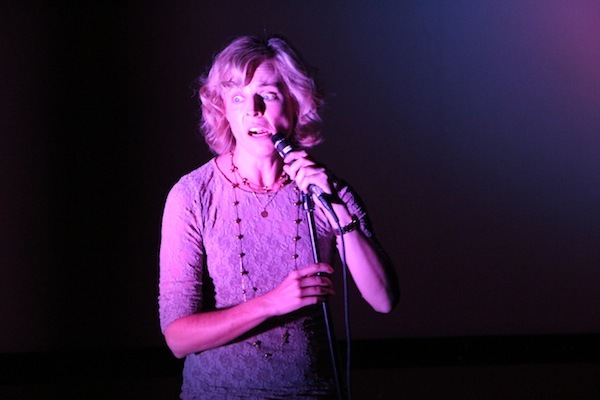 Maria Bamford (Louie, Arrested Development) was interrupted mid-set by some audience members who accidentally blocked the only light source navigating to their front row seats. Maria’s frightened reaction was simply priceless and only won the audience over even more. Dominic Dierkes (Workaholics) is always a delight and did not disappoint with a solid set. 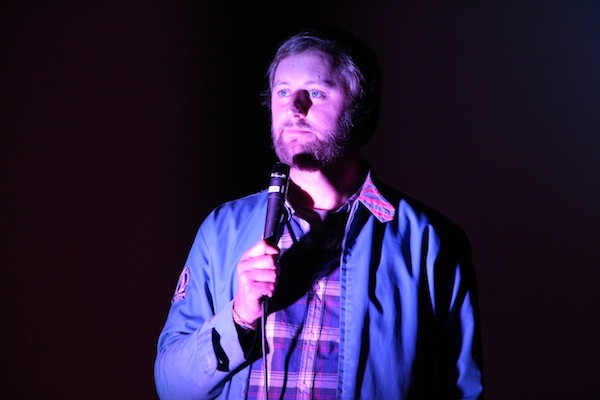 Right off the bat, the audience was putty in Rory Scovel‘s hands when he compared the lighting situation to “Close Encounters of the Third Kind”. Rory (Ground Floor, Zach Stone is Gonna Be Famous) capitalized on the less than ordinary surroundings utilizing the sound equipment (ie. space age tower speakers) to propel himself above the audience and cast ominous shadows while riffing. 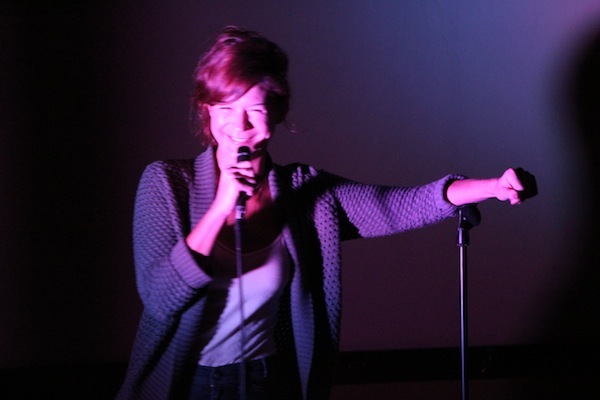 Nearly impossible to outshine a performance like Rory Scovel’s, Natasha Leggero (Tubbin’ with Tash, Brickleberry) wooed the Comedy Collide crowd with her sultry charms for a notably downsized set. 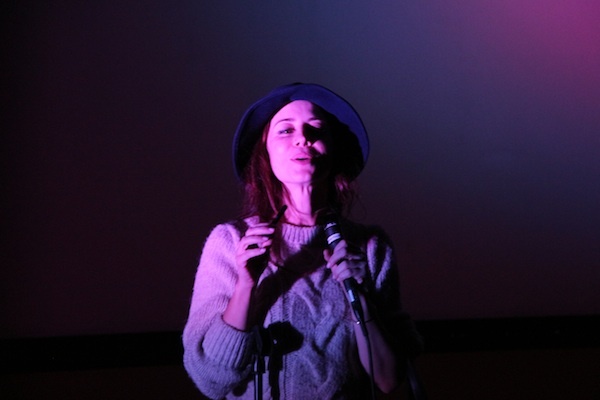 For her brief appearance Leggero tackled topics like e-cigarettes and her “custom-made” hat. 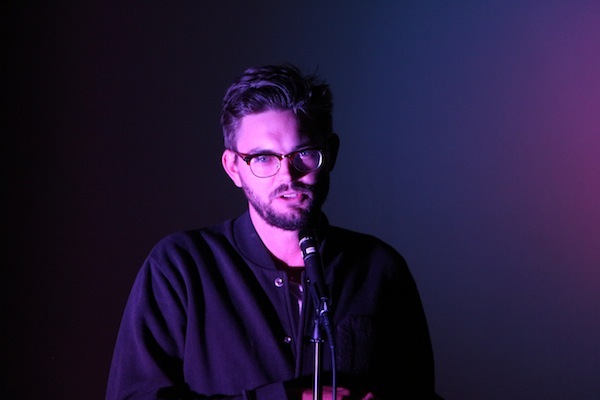 Nick Thune (Conan, Nick’s Big Show) ended the evening with some tailored storytelling. Thune recounted a recent experience at a Virginia Beach comedy club where an audience turned against itself and the staff made light of the situation comparing the crowd to a Cedric the Entertainer one. 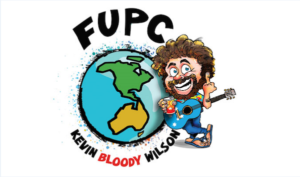 We can’t wait to see what the Culture Collide festival organizers have planned for next year’s Comedy Collide! 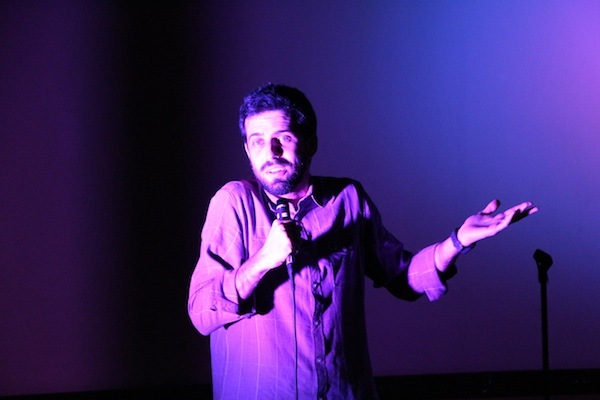 Mentions: Follow @ComedyCake for all your live comedy news. Images provided by Scott Sutton.